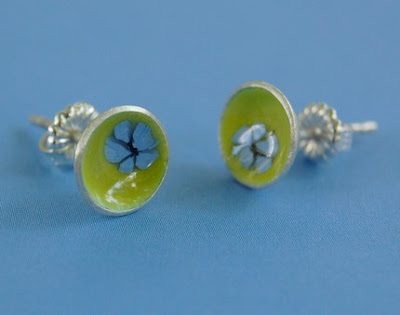 Enamel earrings with fire torched blue flowers by Wildflower Designs. 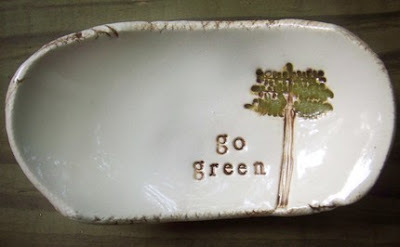 Go Green plate by Handgrown Pottery. 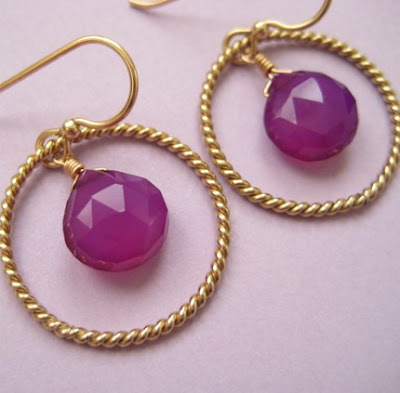 Beautiful earrings by Judie Garland Jewelry. 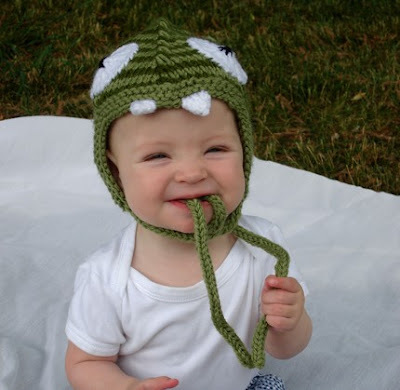 And I know he's not for sale, but I would love to have this cutie please! 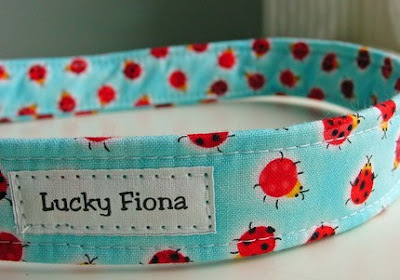 Love the dog collar! I think we need a dog.